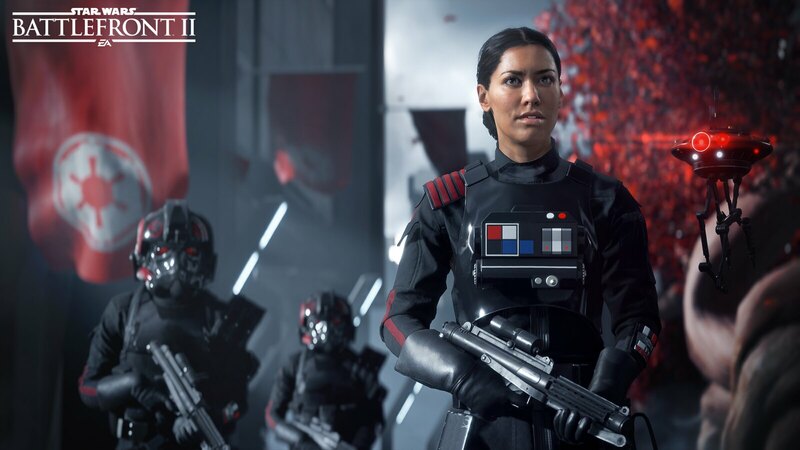 At Star Wars Celebration in Orlando, representatives from EA DICE, EA Motive Studios, and LucasFilm revealed new footage and tantalizing early details for Star Wars Battlefront II, slated for 17th November on PS4. The material we saw and heard suggests a shooter that’s far bigger, deeper, and more ambitious than its predecessor. And the introduction of a single-player campaign that looks to be making some bold storytelling choices. Notably, Battlefront II’s narrative is focused on the perspective of the Empire. 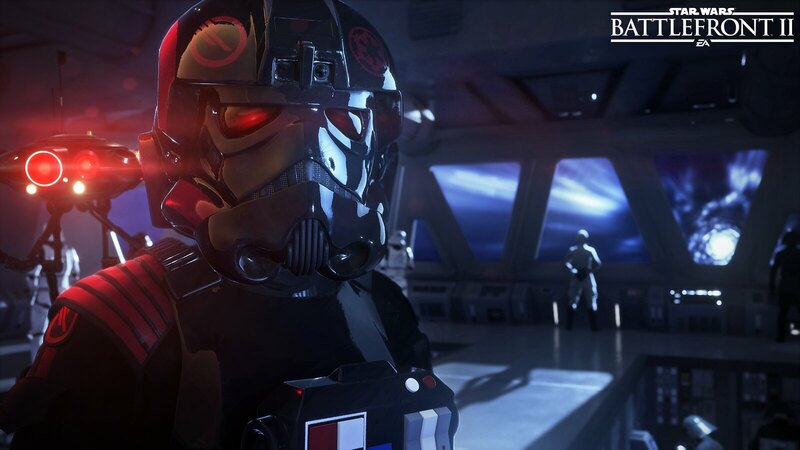 Players will step into the blaster-scarred boots of Iden Versio, an elite Imperial special forces commander. She embarks on a quest of vengeance following the destruction of the second Death Star, witnessed at the end of Return of the Jedi. Battlefront II’s multiplayer is making some big moves too, and will expand to cover all eras of Star Wars film history, including the Clone Wars, Original Trilogy, and the new films. That means you’ll have access to a plethora of new troops, vehicles, gear, and playable hero characters – all recreated with extreme attention to detail. 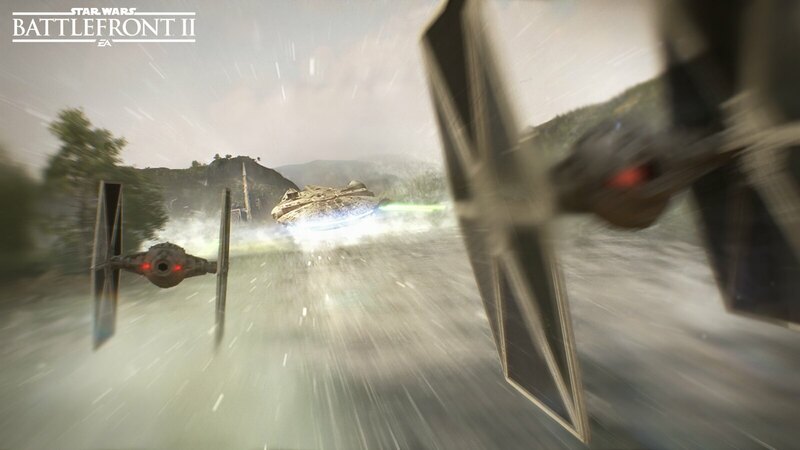 The playable hero characters – a Battlefront hallmark – will also see significant enhancements. Thanks to the broader scope, new additions such as Darth Maul, Yoda, Kylo Ren, and Rey will join the multiplayer ranks. And the heroes will feature more gameplay depth. “They’re more physical, they have more presence in the game,” EA Dice Creative Director Bernd Diemer mentioned. Berndt also confirmed hero “careers” that enable players to unlock new abilities and personalization options. Initiating a hero sequence also works differently: instead of collecting a power-up, players can earn a resource and choose when to spend it. 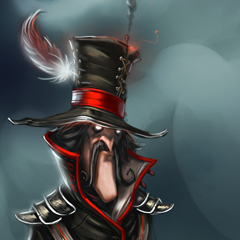 Diemer also hinted that heroes would be a more frequent sight on the battlefield. But heroes are hardly getting all the attention on the MP front. Players can now choose between different trooper classes, each suited to the planet or time period you’re fighting in. The balance between trooper and hero combat will see some adjustments, which could see a skillfully played medium-tier trooper stand a (slim) chance against a rampaging Darth Maul or Luke Skywalker. That would be a subtle shift from the previous game, where heroes were nigh-unstoppable terrors. 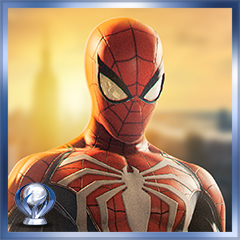 Even the campaign mode is getting into the hero game. Though you’ll mostly play as Iden, you’ll occasionally encounter scenes in which you play as a hero character – including one sequence as Luke Skywalker, Thompson confirmed. Other mysteries abound. In a privately screened behind-the-scenes video, we got a glimpse of mysterious red-clad character who looks (and sounds) an awful lot like the Emperor. Who… should be dead following the events of Jedi. Right? Is it a clone? Some sort of digital copy? We just don’t know. I’m particularly curious to see how much Battlefront II explores the untold story between Return of the Jedi and The Force Awakens. Will we gain any clues or insights into Luke’s motivations leading into The Last Jedi? Only time will tell. 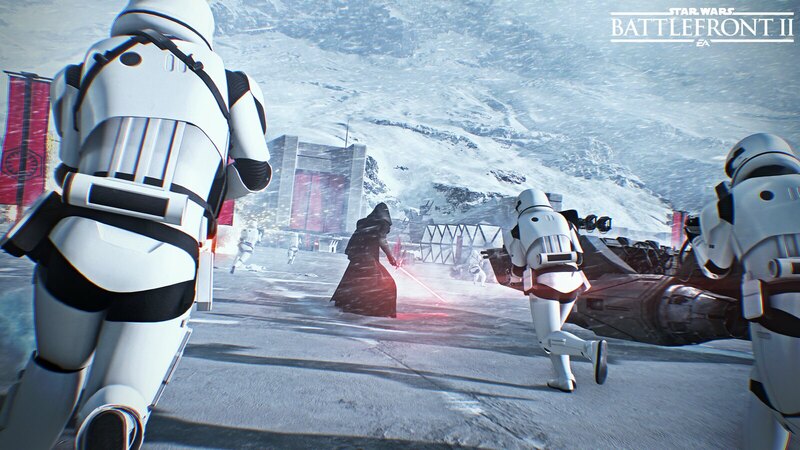 Based on the evidence, Battlefront II looks to be shaping up nicely. The partnership between three great studios – EA DICE, EA Motive Studios, and Criterion – looks to be a fruitful one. We’ll find out for sure when the game launches on PS4 17th November. And here we go, yet again, with the same bland looking human character models in Frostbite. I thought that first picture above was from Battlefield Hardline, FIFA 17 or Mirror’s Edge lol. So can unfortunate fans expect an even MORE sparse multiplayer experience this time since this game is getting the patented, DICE, mediocre, 3 hour, tacked on single player campaign also now?